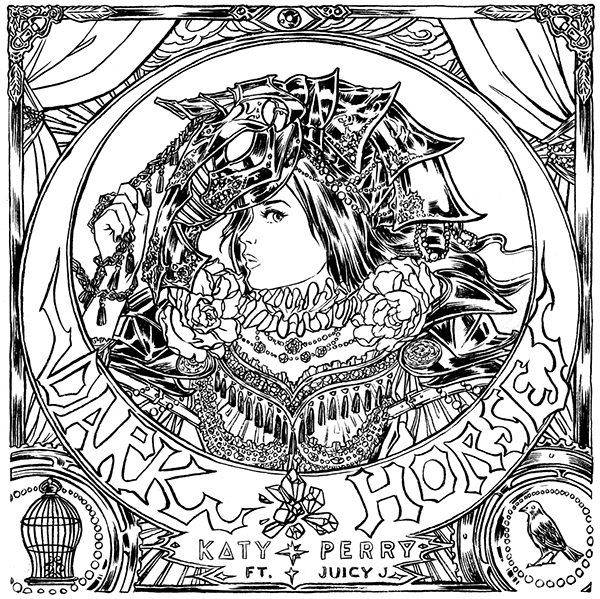 Cover art for Katy Perry's 2014 single 'Dark Horse.' Ink & Digital. 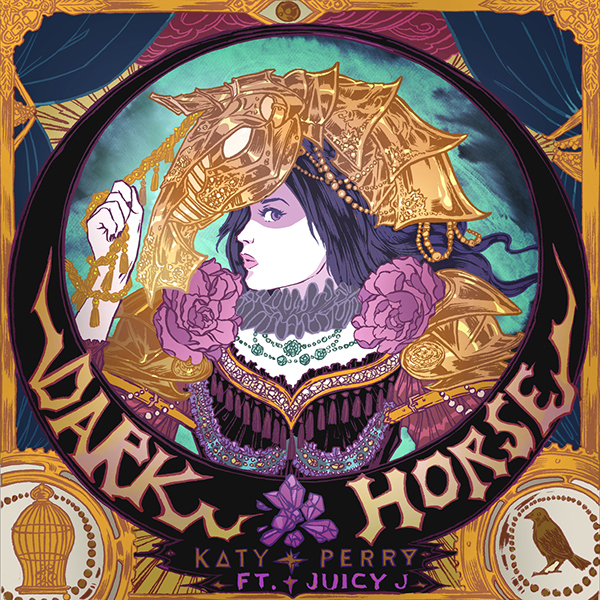 Illustrated cover art for singer Katy Perry's 2014 single 'Dark Horse' by Capitol Records.